Maria von Trapp had cream colored ponies and girls in white dresses. 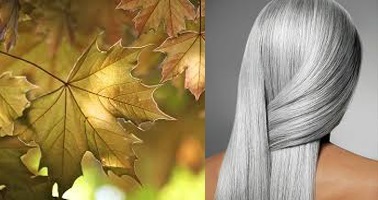 I’ve got flame colored tree leaves and girls with grey tresses. These are two of my favorite things: the reds and golds and yellows of autumn in New England, and the company of women of my generation. It’s almost that time of year when I encounter the former. Any time of the year will do for encountering the latter. They’re two of life’s greatest pleasures. The blazing hues of fall carry along with them all that’s gone before: the snow blankets of winter, the grudging thaws of mud time, the hopeful green shoots and buds of early spring, the winds and showers and storms and happy days of summer…they’re all wrapped up and glowing through the glad symphony of September glory. The greying hairs and the crinkly countenances of the ladies bear with them all that’s gone before as well: the pangs of childbirth as they brought forth humanity’s next generation; the illness and distresses of their little ones; the ripening and blossoming of youths they nurtured; the kisses and embraces of loved ones; the laughter and the tears of shared joy and sorrow…they’re all wrapped up and retold in the whispers and smiles and sparkling eyes of mature womanhood. I love to walk the woods and parkland trails, early of an autumn morning or in the full of day or in the cool of evening. I am grateful for all that the winter, spring, and summer stored up the beauty I see at this time of riotous color. Here in New England, in the season that is just about to begin, there’s magnificence that nowhere else on earth can match. In like manner, I love to meet and talk with old friends. There’s no friend like a friend of my youth. Especially if that friend is a woman who, like me, is in the September of her years. 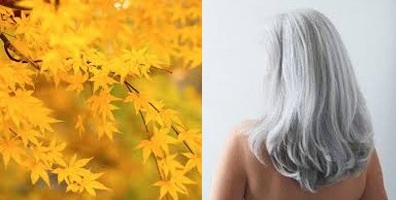 Her crown of hair might be full grey or just silver-streaked, but her life story is anything but grey. It rings forth with the color and variety of the autumn woods. Her laugh lines are like the tiny creases in the leaves that flutter down to my outstretched hands on breezy fall days. Those lines may have been born in times of merriment, like a warm and tranquil month of summer. Or they may have furrowed her brow in times of stress and care, as a blustery March blast once shook the strong green leaves. Each woman’s life story is unique, but it’s always a story of love. I am grateful for that story, and I never tire of hearing it. Woman’s strength is God’s greatest gift to man. I cannot understand men of my age who insist on the company of women who are fifteen or twenty or more years their junior. I feel sorry for them. It’s rather like he who, on the first cool night of fall, boards a plane for Florida and leaves New England’s harvest banquet hall right before the feast begins. All such men are missing out on the Lord’s plenty. Give me New England in autumn. Give me women my own age. Two of my favorite things. You are currently browsing the Veteranscribe's Blog blog archives for September, 2014.